Headaches are some of the most common pains experienced on a daily basis. In certain cases, the discomfort can be debilitating. To live a better quality of life, it is essential to uncover how to end the agony. Some of the most common causes of headaches are found in the mouth. Dental health has a direct link to different parts of the body, including the head. By paying attention to oral health, a person can prevent certain types of headaches. Stress has a negative effect on a person’s well being. Under certain circumstances, it can make a person grind his or her teeth. It is quite common to brace for bad news by clenching the jaw muscles. This condition, known as bruxism, may occur while a person is awake or asleep and may lead to headaches. According to The American Dental Association, teeth grinding may be a result of an abnormal bite or crooked or missing teeth as well. Many times, headaches are symptoms of jaw problems. TMJ, or Temporomandibular Joint Disorder, can cause headaches. The temporomandibular joints are located in front of each ear and surround ligaments that hold the lower jawbone in place. When these joints do not fit together properly, the muscles become fatigued, which places stress on nerves. Chronic migraines commonly result. When a person is grinding his or her teeth, a dentist can create a custom mouthguard that protects the mouth and discourages the habit. A dentist may also be able to recommend jaw exercises that help relax facial muscles and prevent headaches. If misaligned teeth are the problem, a person can seek assistance from an orthodontist. 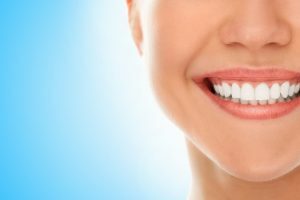 This professional will straighten the teeth and correct the issue. Dr. Dana Walters often consults with patients who experience negative side effects of bruxism. He understands the painful headaches that can occur and discusses positive treatment options that may alleviate the discomfort. Also, he explains other oral care tips to maintain a healthy mouth and body. To schedule an appointment and receive help for your headaches, call our office. Use the contact form to request an appointment or just to ask us a question. We’ll be in touch shortly. Call us today at 614-721-1975 or schedule an appointment online. We strive to enhance the comfort, confidence, and quality of life for those who seek our services by providing the very best dentistry in a comfortable, caring and relaxing environment. Monday – Thursday: 8:00 AM to 5:00 PM, Friday: Closed.